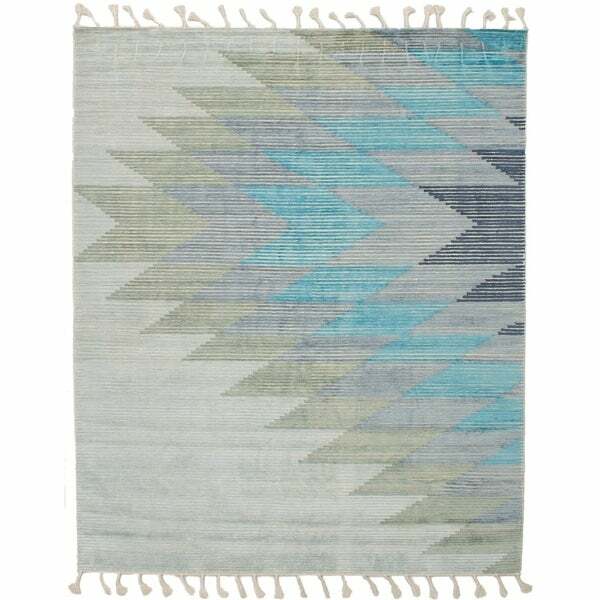 ECARPETGALLERY Flat-weave Kalista Grey, Light Blue Silk, Wool Kilim - 4'11" x 7'10"
ECARPETGALLERY Flat-weave Kalista Light Khaki Silk, Wool Kilim - 7'10" x 9'10"
Trendsetting and innovative textured flatweave kilims feauturing subtle palettes of subdued cream, indigo and grey, will easily blend into your free spirited home decor. Dimensions 118.0 In. X 94.0 In.